The following list of femme fatales not only serves the dark side, but puts it in their personalities and appearances as well. Mai from Avatar: The Last Air Bender. Amazing show, amazing Goth girl. 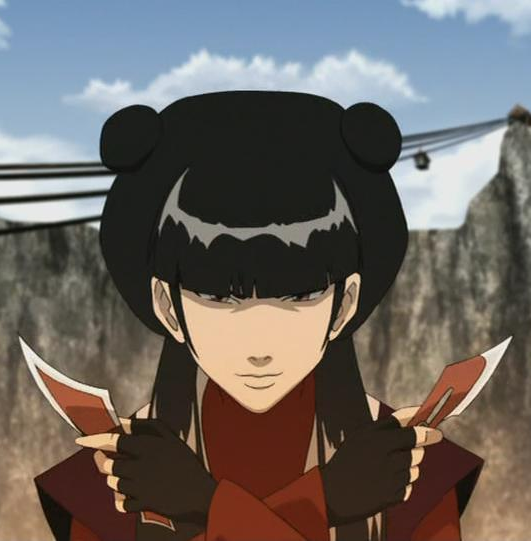 Mai is one of Princess Azula's sidekicks, opposite to the bubbly Ty Lee. 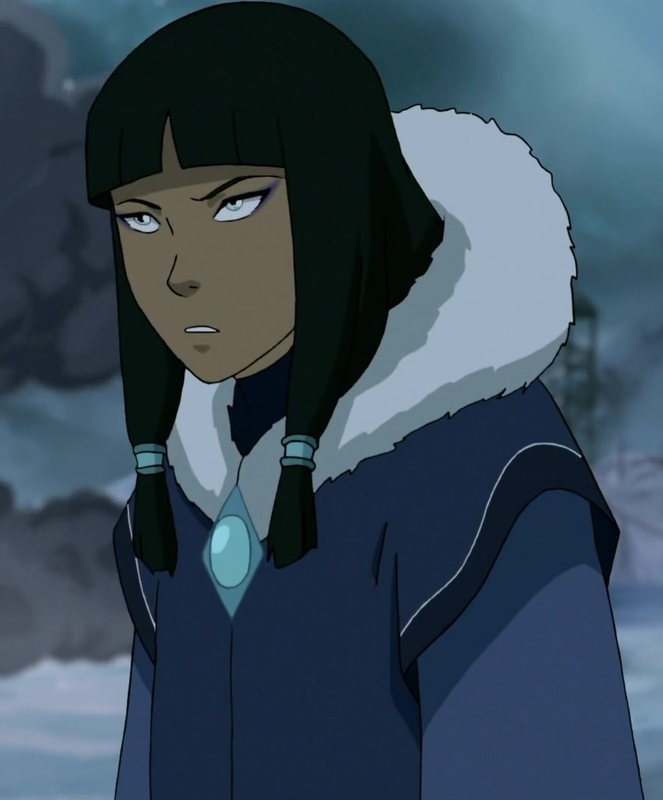 She is also Prince Zuko's perfect love interest. As the daughter of a governor, she is raised in comfort and spoils, and is bred to be well-mannered and soft-spoken. Hence, she thinks her life is boring, and hides her true emotions from others. Mai maybe from the Fire Nation, but she's not a firebender. Instead, she uses stilettos and shuriken knives hidden beneath her sleeves. She can take down soldiers and benders easily. Even the main heroes consider her as a fearsome opponent. 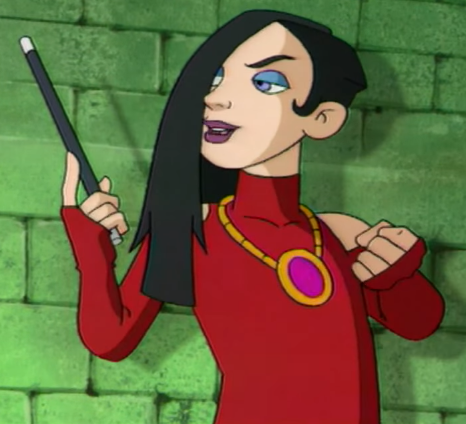 Wanda Maximoff from X-Men: Evolution. Also known as the Scarlet Witch, she's a mutant who has the ability to manipulate probabilities via hex spheres or bolts. She's a daughter of Magneto and sister to Quicksilver. 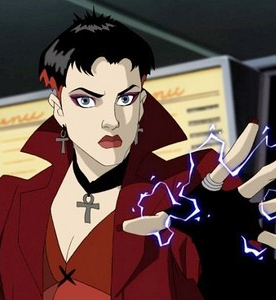 Though she becomes one of the Avengers, she's a villain in X-Men. She was locked away in an asylum at a young age by Magneto. Because of this horrible memory, she grows up into a troubled, unstable Goth girl, like Rogue. With the help of Mystique, she is able to breakout in order to get revenge from her father, and joins the Brotherhood in an attempt to take down the X-Men. Later in the series, Magneto alters her traumatic childhood memories. Jinx from Teen Titans Go! She is re-imagined from the comics, bearing few similarities to her comic counterpart, who is an Indian sorceress. The animated Jinx's powers portray a manipulation of probability, more specifically, the ability to "bring bad luck" to her enemies. Yet her power still depends on solid ground and structures, just like in the comics, as she primarily causes them to crumble as a means of attack. She is also very agile, capable of great feats of acrobatics. Her personality is a good example of the perky Goth. 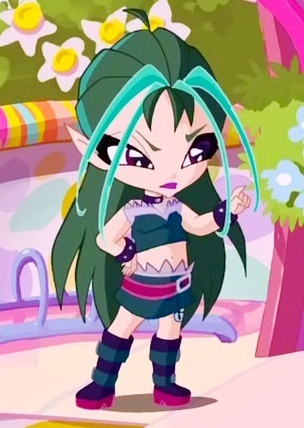 The Trix from Winx Club. In a show about fairies and magic, who would be the Goths? The witches, of course. The Trix compose of Icy, Stormy and Darcy. Their names already spell out their personalities and elements of power. 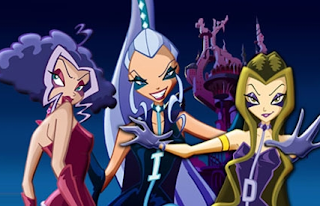 They aim to defeat their arch-nemesis, the Winx, and take over the realm of Magix. In some seasons, they would serve a powerful warlock, such as Valtor and Tritannus. Their costumes and forms become more severe as the series progresses. Eska from The Legend of Korra. Jaded, sardonic and androgynous, Eska and Desna are a textbook example of the weird, creepy twins. 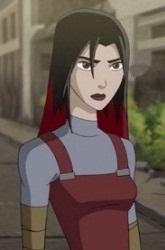 She becomes Bolin's love interest in Book Two, but she is as cold as the snow and ice she bends, and very domineering. She even puts a Gothic choker on him for their forced engagement. As children of Chief Unalaq, they are his successors in the Northern Water Tribe. They are initially obedient to their father, heeding his every order, until he uses the energy of Harmonic Convergence to become the Dark Avatar. Realizing that their father is beyond salvation, the twins turn against him and help Team Avatar to save the world from an era of darkness. Circe from Generator Rex. 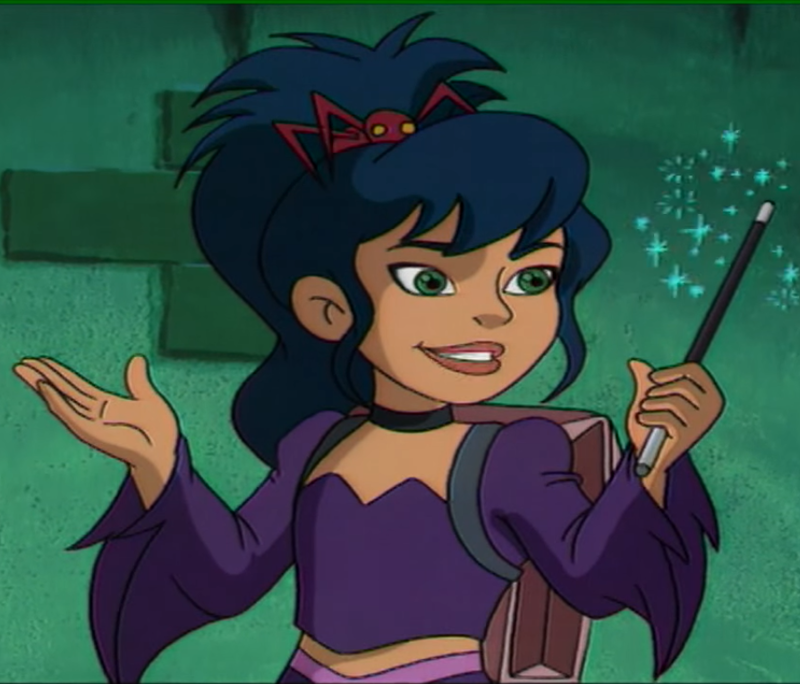 Introduced in the episode "Beyond the Sea" during Rex's trip to Cabo Luna, Circe is a female Evo whose powers only manifest when active like Rex's. When activated, her mouth prolapses into a monster-like tube which she uses to project destructive sonic pulses, and to also attract some other Evos to her. She has joined up with The Pack because she feels like too much of an outsider anywhere else, and she considers its freaky members as her family. She becomes Rex's love interest and he constantly tries to get her to switch sides, but Circe is too angsty to do so. Black Cuervo (Zoe Avez) from El Tigre!. She hails from a family of villainesses called the Flock of Fury. Her mother is Voltura and her grandmother is Lady Cobbler. They're all against the Rivera men due to disastrous romantic pasts with them. As for Zoe, she has an obvious crush on Manny and would fight him to get closer. 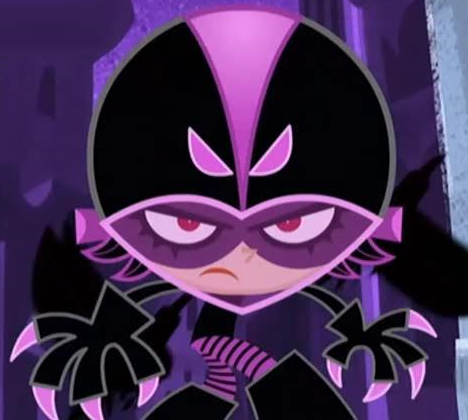 As a super villain, the Black Cuervo mixes physical moves with lasers, has jet propelled wings and deadly talons, and keeps her real identity a secret unlike the other villains. If you don't know yet, cuervo means "crow." 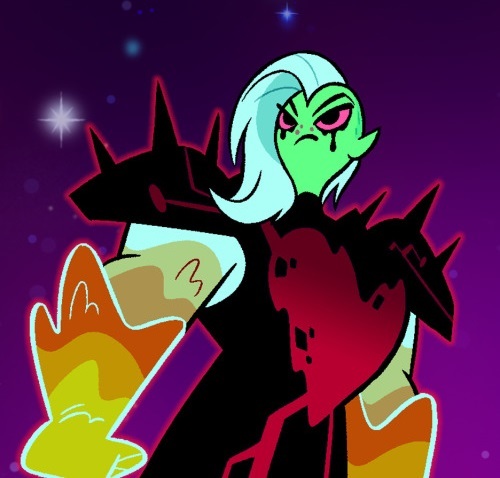 Lord Dominator from Wander Over Yonder. She is the main antagonist of the second season, replacing Lord Hater in the Galactic Villain Leader Board. To mess with him, she blatantly copies his looks and title of Lord. She fights in a fearsome mech suit, controls an army of dom-bots, and has power over lava and later ice. She takes pride in her mayhem over the galaxy, the same way a bully enjoys antagonizing nerds. As much as Wander tries to befriend her, she cares less for amity. Although, she briefly becomes friends with the sassy Sylvia in "The Night Out". 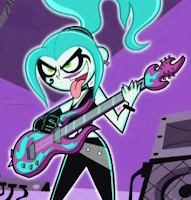 Ember McLain from Danny Phantom. This sinister siren uses the power of rock to hypnotize teenagers and dominate the living. With wild fiery hair, neon colors and platform boots, she is fashioned after '80s glam metal. Ember gains more power when fans chant her name, especially during her hit song "Remember". However, the song reflects her tragic backstory: she was an unpopular girl who died in a fire waiting for her date who may stood her up or forgotten about her. 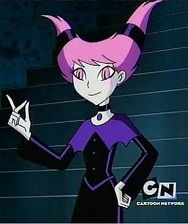 Nevertheless, Ember becomes a powerful foe from the Ghost Zone, and allies with other spectres to defeat Danny Phantom. Narcissa from PopPixie. It's a spin-off from Winx Club where the sickly cute pixies star in. This time, the villains aren't witches, but the Elves (would never expect it). In Pixieville, the elves are rich and luxurious yet quite conceited and malicious. Contrast to the pixies' hip, prep and pop, the elves are fashioned after counter-cultures such as biker, metal and cyberpunk. Narcissa is obviously the Goth one with a superiority complex. She is rather lazy like her pet crocodile, yet ill-tempered especially towards her immature boyfriend, Floxy. Lucretia from Ultimate Book of Spells. She and her twin brother Borgia are the Slytherins in this 2001 animated series about wizarding students. They cheat their way in class behind the benevolent headmistress, and antagonizes the main trio, especially top junior witch, Cassandra (who dresses up quite Gothicly as well). The twins' father used to serve the dark wizard, Zarlack, but defected before his defeat by Cassy's ancestor. Lucretia is named after Lucrezia Borgia, a 15th century femme fatale and suspected witch. The Black Widow Spiders from Mighty B!. The show is about girl scout troops but it's not dull at all. 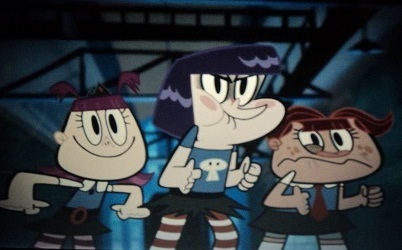 In the episode "Dragonflies", the Honeybees compete with their rival troop, the punk Oakland Dragonfliies. During their series of challenges, they encounter the goth Black Widow Spiders troop when the Honeybees reach the wrong pier. These little Goth girlscouts hang out in a rusted warehouse at Pier13. Like the real spiders, they are sensitive to light, very territorial and deadly. In the same episode where they introduced Shego's brothers, didn't Hego say "The more we fought evil, the more she fell in love with it," or something like that? Living with several brothers, it's highly likely that she had always had/developed at a young age an anger issue and possibly a need for independence from them and personal space. With that, she may have envied the evil she fought because they were free of the "restraints" she lived with being a hero(and possibly, depending on what happened to her parents, taking care of her brothers, since she is the only girl known in the family). She joined up with doctor Drakken possibly because (once again, depending on what happened to her parents) she's used to being under someone and Drakken, being so comically weak, would be able to fill that small void, while still having certain freedoms (like making sarcastic remarks and not working when she didn't feel like it); also she may have wanted to be able to stretch her legs without having to do anything other than fighting for herself (again, possibly connecting to having been in charge of her brothers and playing a motherly role in their lives and wanting to get away from doing the "woman's" work or whatever she didn't see as fun). Also, if she did have to play "mommy" to her brothers, then there's no doubt she'd have some resentment toward them since most likely she would continue to be undermined as the "woman" of the family and stuck doing menial tasks (possibly missing out on some of the hero action at times at her brothers' request) and even though she carried most of their weight, Hego was seen as the leader simply because he's the oldest (not saying he didn't do any work, but he may have been out earning a paycheck for his family and didn't have time to help IF their parents were unable to, the Go Twins are pretty young and it seems Ego would be too busy complaining about why he doesn't get to be leader to really help with any work). No woman would want to like like that and she left to join the very thing her brothers fought against as a way to get revenge and because to seemed fun and Drakken offered her a place to start, as his sidekick, and she was either too grateful to leave or too happy she didn't have to do any hard work (aside from the fun stuff) for herself to want to (most likely the latter of the two). Either all/most of that or she just really wanted to screw over her brothers. I don't see why Floxy is too scared to break up with narcissa. I bet she won't even care...at first. She'll miss him eventually. You missed "Razor" from "the fairly oddparents"
Jinx makes a cute example as a Perky Goth!